Written in political exile during the Second World War and first published in 1945, Karl Popper's The Open Society and Its Enemies is one of the most influential books of the twentieth century. Hailed by Bertrand Russell as a 'vigorous and profound defence of democracy', its now legendary attack on the philosophies of Plato, Hegel and Marx exposed the dangers inherent in centrally planned political systems. 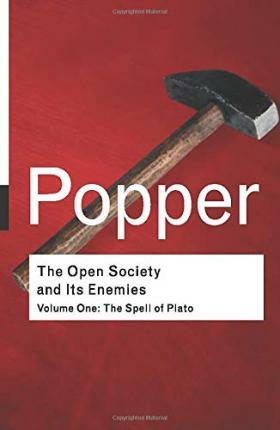 Popper's highly accessible style, his erudite and lucid explanations of the thought of great philosophers and the recent resurgence of totalitarian regimes around the world are just three of the reasons for the enduring popularity ofThe Open Society and Its Enemies, and for why it demands to be read both today and in years to come. This is the first of two volumes of The Open Society and Its Enemies. Karl Popper (1902-1994). Philosopher, born in Vienna. One of the most influential and controversial thinkers of the twentieth century.